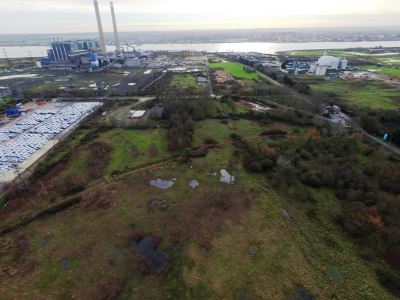 The land purchased is part of the former Tilbury Power Station owned by RWE which closed in 2013 and is currently being decommissioned. The port has taken ownership of part of the 152 acre site, with the remainder to be handed over following the completion of the demolition process. This land acquisition brings the total port acreage to 1,100 acres and Forth Ports intends to use this land to extend their current operations with the creation of a new port, to grow to meet the needs of their customers and market demands. It is the intention of Forth Ports for the new port facility to be connected to the national rail and road networks. The port will lodge the relevant planning applications in due course. Charles Hammond, Chief Executive of Forth Ports, said: “This is a significant land acquisition for the Port of Tilbury. As London’s major port, it is a key resource for companies who need to access London and the South East of England. We are acquiring this additional land to extend the port in response to increasing demand from customers who are seeking additional capacity within the port. The Port of Tilbury is a dynamic and diverse port, handling the full range of cargoes with specialist expertise in the handling of paper and forest products, containers, Ro Ro, grain and bulk commodities and construction and building materials. Tilbury's strategic location makes it a natural point for distribution, with 18 million people living within 75 miles. Serving the UK's market, the port offers customers excellent transport links to and from the UK’s capital and across the South East where over 50% of the population live and work. The port is a diverse multi-modal hub, covering around 1,100 acres and is well positioned to access the M25 orbital motorway and the rest of the UK's national motorway network. In addition, there are direct rail connections within the port, with access to the whole of the UK rail network, and dedicated barge facilities. London Container Terminal (LCT) provides a unique combination of European Short Sea and Deep Sea services at the same facility. As the UK’s third largest container terminal, Tilbury handles over half a million containers per year. There is an extensive range of ro-ro services through Tilbury. Facilities exist for car carriers, ferries, combi ships and heavy lifts. There are dedicated ro-ro berths in the dock and deepsea berths along the riverside as well as freight ferry services to Europe.